Brie Larson as Captain Marvel, in an outfit inspired by Kelly Sue DeConnick’s series. Captain Marvel’s ensemble has seen some, let’s just say, changes over the past several years. One of Carol Danvers’ most-recent comics costumes, designed by Jamie McKelvie for Kelly Sue DeConnick’s 2012 series, inspired Brie Larson’s movie ensemble. But according to a recent interview, Larson didn’t want the more skimpy predecessors going anywhere near her. In a new interview with the Hollywood Reporter, Larson and Marvel Studios head Kevin Feige talked about getting Larson on board to star in Captain Marvel. 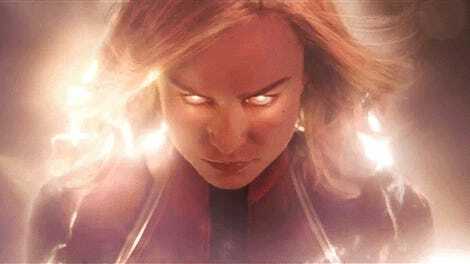 Larson said she chose to join a project—the MCU’s first solo female-led superhero film—she was originally hesitant about because it was a “culmination of a lot of things I’ve wanted.” But when it came to Carol’s superhero look, she and Feige were thankfully on the same page. Feige recalled a meeting at Marvel where Larson spotted some back issues of Captain Marvel and Ms. Marvel, showing some of the more scant outfits Carol Danvers used to don (like this). Frankly, we’re glad too. Not only is Larson’s Captain Marvel outfit extraordinary—with or without the mohawk helmet—but it also has made for some amazing everyday fashions. If only I had, you know, disposable income. 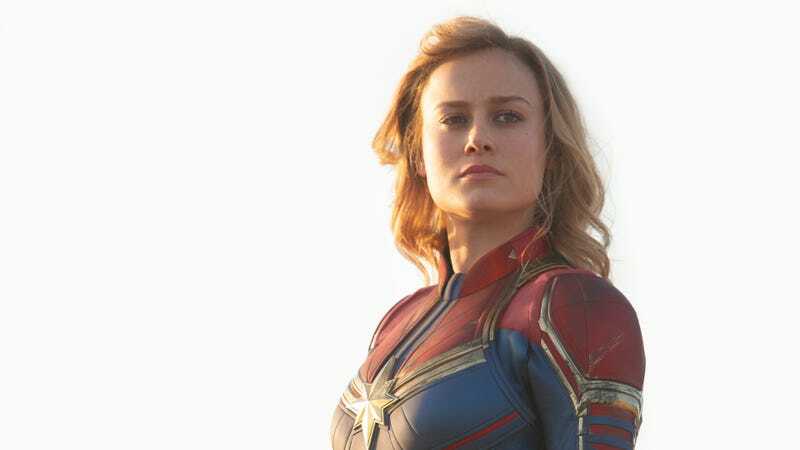 Captain Marvel arrives in theaters with her awesome outfits on March 8.